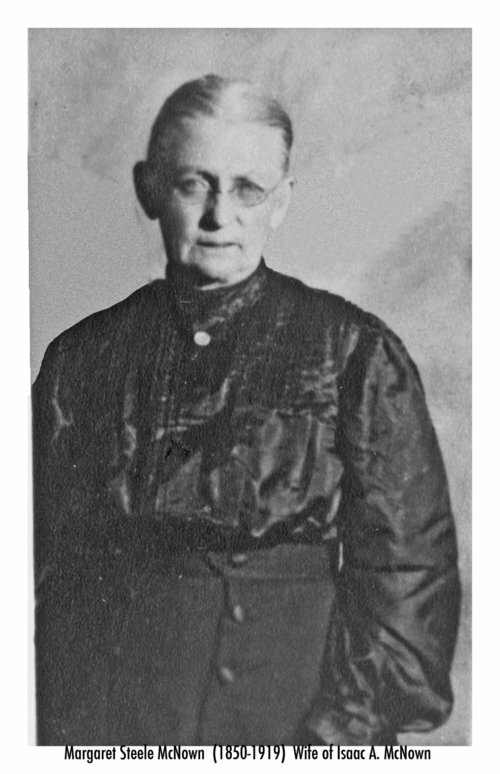 This is a photograph of Margaret Steele McNown, 1850-1919, wife of Isaac Aldebert McNown, 1841-1931. Shortly after their wedding, they decide to leave Wisconsin and move to Texas; however, as they passed through Kansas, Margaret became ill. She refused to go on, so they settled southeast of Wichita, Kansas. Isaac purchased several hundred acres of farmland and became a successful farmer.